This building was a backdrop for a photo which I entered in one of Cee’s Photography photo challenges. It was for a construction theme in black and white so a backhoe, stanchions and people partly obscured the view plus of course it was colour challenged. Since there was a request for the colourized version, I went back and waited for the traffic to clear and pedestrians to get out of the way to click off a couple of pics. 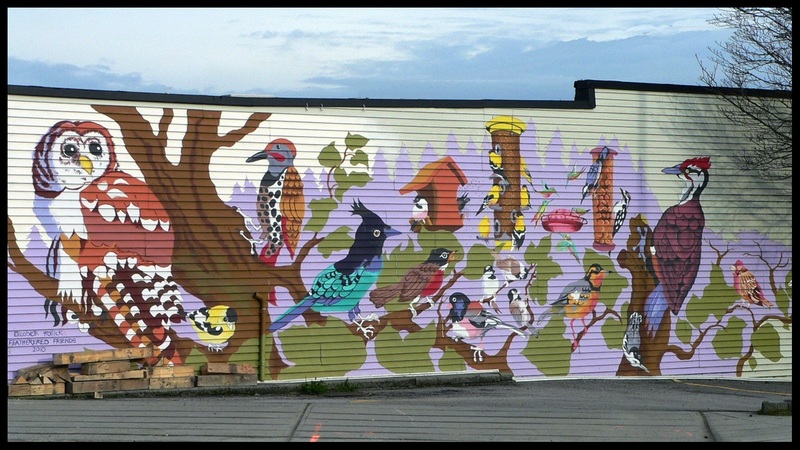 Didn’t realize until I uploaded the photo that it was another mural by Elizabeth Hollick. For a previous post I photographed her work on a sidewall of the White Rock playhouse.